These School holiday activities in Cairns are guaranteed to reduce whines of “I’m bored” by approximately 99.5%. 6 weeks of the kids at home can cause even the most organised parents to run out of ideas. Luckily, Cairns has a abundance of school holiday fun for children of all ages to get involved in. Keep the little ‘uns entertained with these school holiday activities in Cairns. It may be as obvious as the signs on the Captain Cook Statue, but the lagoon is surprisingly underutilised by Cairns locals. Younger children will enjoy making a splash in the shallows, whilst older children and teens can enjoy a good book under a palm tree before diving in the cool off. 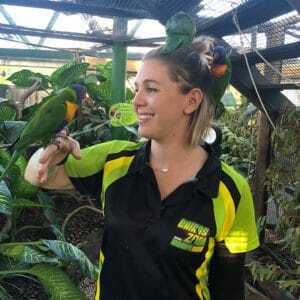 Located smack bang in the CBD on top of the casino, Cairns Zoom and Wildlife Dome is a must-visit for little wildlife lovers and adrenaline junkies alike! Bring the kids in to meet a range of adorable Aussie animals, including Koalas, Cockatoos, Pademelons and Reptiles. You can even get a unique family photo with a koala! Burn off steam (or sugar!) on a family-friendly zipline course, which includes fun obstacles, challenges and finishes with a zipline over Goliath the 4.5 metre crocodile! Now that’s something the kids will be talking about when they go back to school! Find out more about Cairns Zoom or book here. Got a little surfer dude in the family? Unfortunately, the ocean up here doesn’t exactly provide waves for riding. Luckily, Flow Rider at Tobruk Pool has safe and stinger-free waves for big kids and little kids alike. Take the whole family to try their hand at body boarding and flow boarding. They are bound to be shouting “radical” in no time! Located on Cairns Esplanade, Muddy’s playground is a safe and fun playground that is suitable for a whole day of school holiday fun. Plus, there’s a cafe, so you can enjoy a well earned cuppa whilst the kids play! Christmas School holidays tend to see temperatures soaring, so take the kids for a cool off at Crystal Cascades! This natural stream has several large pools just waiting for the whole family to cool off in. Take a picnic and adorable inflatables for extra school holiday fun! Take a look on Google Maps and you will be blown away by the amount of free playgrounds in Cairns! With at least one in every suburb, there’s a slide and swingset for everyone this school holidays. Why not take a trip to a far-away suburb and explore a playground the kids have never visited? Adorable animals are sure to be a hit with the kids and Rainforestation Nature Park in Kuranda is home to many adorable Australian animals. Kids can hand feed kangaroos and wallabies and even cuddle a koala! Plus, children can get up close to endangered species, such as Jimmy the Lumholtz’s Tree Kangaroo, Keita the Cassowary and Neville the Tassie Devil. After getting their wildlife fix, kids will love riding through the rainforest on a World War Two Army Duck. Watch their faces as the vehicle transforms into a boat and splashes into the lake! Add an fun, educational twist to the school holidays with the Pamagirri Indigenous Experience. Big kids and little kids alike will enjoy learning to throw a boomerang and listening to a didgeridoo performance. Word of warning though, your kids may volunteer to go up on stage during the Pamagirri Dance show and impress the audience with their newly learned moves. Book Rainforestation Nature Park today. Three words your kids will role their eyes at: teamwork, fitness and strategy. They can build on all of these skills (without even knowing about it) with a game of laser tag! Want to see your kids jumping for joy? Well you can make it quite literal at Jump Mania. 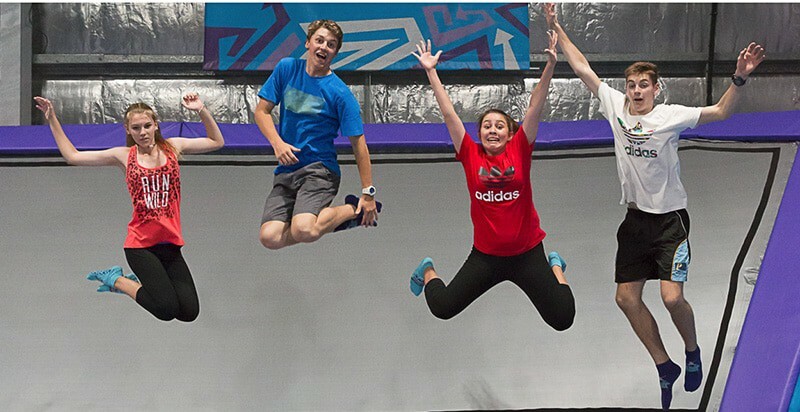 With over 1,000 square metres of pure trampoline, there’s an abundance of fun to be had. Just imagine 1500 free-flying butterflies! At Australian Butterfly Sanctuary in Kuranda, you can turn your imagination into reality. This unique experience is both educational and fun, with a laboratory showcasing caterpillar and cocoon stages. Older children would love the guided tour, which has a strong educational aspect. 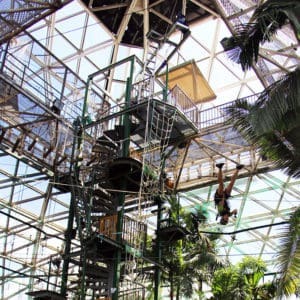 Ready to book some school holiday activities in Cairns? 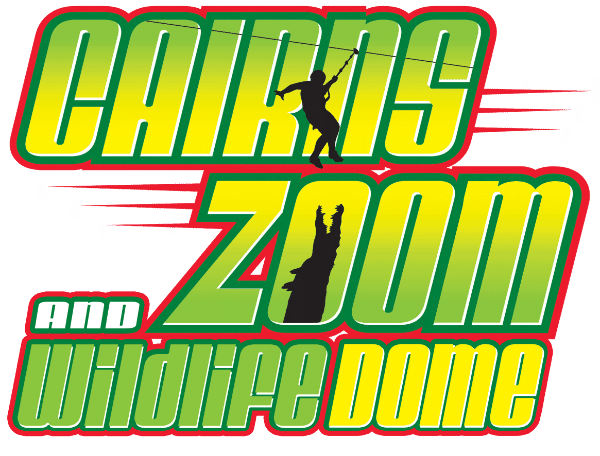 Book Cairns Zoom & Wildlife Dome today! This entry was posted in Cairns and tagged cairns, cairns activities, school holidays.